In the first half of January 2019, 888poker launched a new poker client called Poker 8. Almost all components of the client were changed – table layouts, notes menu, bet-sliders, sound effects and much more. Today, we would like to briefly focus on the key features of Poker 8. The answer to the first question is pretty simple – the new software focuses on amateurs. To be honest, no one really cares about the regulars nowadays. Right after the update, lots of negative reviews appeared on the Internet – players complained that poker trackers and other software stopped working. Most likely, these problems will be fixed in newer versions of the corresponding software. – the client sometimes crashes (this also happened in the old client). – highlighting of players who still have cards and a text description of their previous actions (for example, BET or CALL). Can you continue to play on the older software? The room does not provide such an opportunity, but for now you can use a small life hack from one of the developers of third-party poker software. o ENABLE_QUICK_HISTORY_TABLE – returns the old replayer. Well, here is the thing: no one knows how long this method will work. It may become unavailable after the next client update, or it may work for months. Anyway, it’s not a final solution of the problem. We hope that over time, the Poker 8 client will become better. Most players agree that 888poker launched the new software too early. Perhaps, not enough time was spent on the testing and debugging. 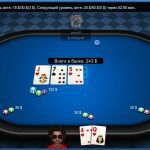 Small bugs are likely to be fixed over time but the overall approach will remain the same – the 888poker management makes it clear that the regulars aren’t their major clients. On the other hand, if the new software will bring lots of fish players, then the regulars will be ready to forget about the minor flaws of the software for the sake of softer fields.